In its Global Claims Review 2014, Allianz Global Corporate & Specialty (AGCS) identifies the top 10 causes of loss and emerging trends from over 11,000 business claims in 148 countries. Machinery failure has been identified as number 10 among the major causes of loss. The sectors especially hit by machinery breakdown are energy, marine, property and engineering. In most cases damage to the machinery or complete breakdown is due to crew negligence or heavy weather, e.g. storms. Machinery breakdown is a large driver of commercial property claims in terms of the number generated. Consumers in emerging markets like China are growing more aware of their rights and are increasingly more likely to seek compensation for faulty products. For example, a recent case of contaminated whey for baby formula from New Zealand drew media attention in China, Thailand, Malaysia, Vietnam and other Asian countries and resulted in some large legal cases, as well as the active involvement of the country’s consumer associations. Professional indemnity claims are the major cause of losses in the financial lines insurance sector, according to the analyzed portfolio, accounting for 74% of claims by number and 72% by value. “Following the crisis there was a spike in professional indemnity and directors’ and officers’ claims worldwide, but generally global financial crisis claims are now beginning to taper off,” says Joerg Ahrens, Financial Lines Claims Specialist, AGCS, in the current report. Natural hazards account for three of the top 10 causes of losses, with flooding ranking inseventh position. Flooding in Thailand in 2011 demonstrated the effect one incident can have across different sectors and continents. As property and business interruption values increase, insurance industry claims of $1bn+ are becoming more frequent. Flooding is one of the major risk trends since many of the world’s largest cities are situated on the coast or beside rivers, exposing them to floods and storms. Bodily injuries (including fatalities) generate the biggest losses in the liability sector. As people become wealthier, especially in emerging markets, they are more likely to seek compensation when they suffer bodily injury or a loss of income. Some of the biggest claims in recent years have involved pharmaceutical product liability cases, most notably a number in the US including a recent case involving birth control pills. Automotive industries have also experienced a high number of product liability, recall and bodily injury cases. Despite a recent quiet period for US hurricane activity, small- to mid-sized weather-related claims have been increasing in frequency, with a notable impact on cargo and hull and machinery claims. Superstorm Sandy in 2012 hit the marine insurance market hard, with its estimated $2.5bn to $3bn (€2.3bn) cost effectively wiping out the entire US marine insurance premiums for the year. More recently, a number of separate hail storm events in Germany have resulted in claims for the automotive industry. For example, in 2013 a heavy end-of-July hailstorm in the region of Volkswagen’s headquarters in Wolfsburg affected a total of 28,000 cars. Earthquakes are the top cause of engineering losses by value (65%). Similar to flooding, earthquakes symbolize an increasing interconnectivity of risks. 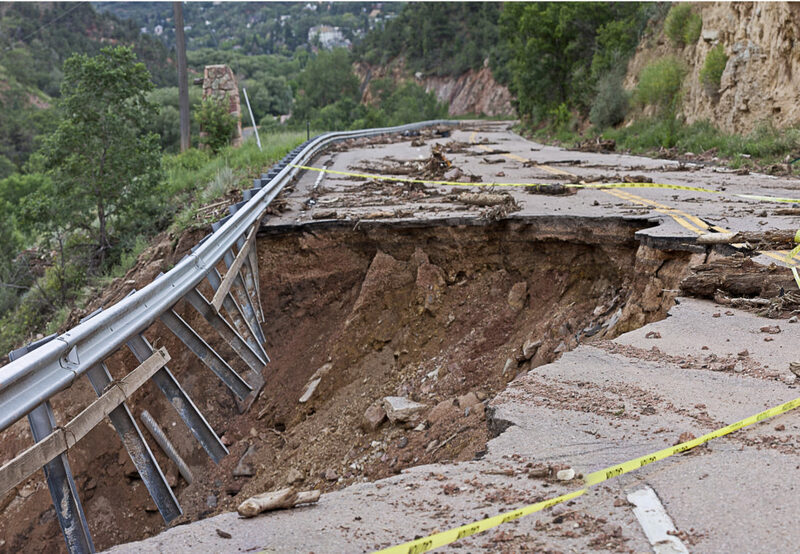 The 2011 catastrophic floods in Thailand and earthquake in Japan highlighted how one event can result in many large business interruption and contingent business interruption (CBI) claims, even many hundreds of miles away. Despite a big increase in airline fleet sizes and 2014’s extraordinary loss activity, the long-term trend shows that fatal or catastrophic passenger airline losses are now less frequent, especially in the US and Europe. Better inspections, aircraft reliability and recurrent training for pilots have been significant contributors to an overall reduction in catastrophic losses. However, the cost of aviation claims is rising, driven bywidespread use of new materials, regulatory demands and growth of liability-based litigation. The largest aviation loss 2013 was the Asiana Airlines crash on July 6 in San Francisco. Three people died in the incident which may result in insured losses of approximately $300m (€220m), according to recent reports. Fire is the major cause of property losses by number of claims and value. The oil and gas sector is particularly impacted by fire: of the top 20 insured losses in the industry, fire and/or explosion was the main cause, accounting for eight of the losses – Refinery, Argentina ($800m), Refinery Complex, Canada ($500m), Ethylene Plant, US ($500m), Methanol plant, Oman ($252m), Refinery, UK ($210m), Fertilizer Plant, US ($200m) and Refinery, Saudi Arabia ($180m). Collectively, this equates to $3.94bn, almost half the total loss of the top 20 losses combined. From an emerging risks perspective, wildfires could cause havoc in an urban area, leading to substantial property damage and business interruption. The cost of dealing with groundings is the major area of concern for marine insurers, especially the potentially high cost of wreck removal, as the Costa Concordia incident shows. The vessel struck a reef and capsized off the Italian island of Giglio in January 2012, resulting in one of the largest marine claims in history. Re-floating and removing the wreckage of the Costa Concordia is likely to cost $1.5bn, with the total claim, including the hull value and passenger compensation, approaching $2bn (€1.47bn). The largest ship loss in 2013 was the MOL Comfort container ship which broke in two and sank in deep water after sustaining a major crack amidships. The loss raises questions over the structural integrity of large vessels and the risk that some container ships are unknowingly overloaded. Misdeclared cargo and overweight containers are still a problem in the maritime industry. This article originally appeared on Allianz.